Korean mobile network operators, card issuers, consumer electronics manufacturers and government organisations have formed the Grand NFC Korea Alliance with the aim of creating a US$1bn business opportunity and more than 5,000 jobs. 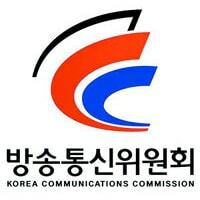 The Korea Communications Commission (KCC) has unveiled details of an ambitious project designed to place Korean firms at the leading edge of NFC. The Grand NFC Korea Alliance brings together a wide range of leading Korean businesses and government organisations with the aim of building an NFC-based service infrastructure, testing ‘mobile smart life’ projects and enabling Korean firms to take leadership positions in the next-generation mobile payment and application services market. Government organisations and associations including KISA, ETRI, TTA, MOIBA and Korea Internet Companies Association. Accelerate the spread of merchant terminals equipped with NFC. Run pilot services for small merchants involving the development of NFC-based payments terminals. Develop a variety of NFC applications including ticketing, physical access control, user authentication and coupons. Spread the use of NFC-based ticketing, tourist information and customised advertising through the use of tags in combination with location-based services. Promote the development of secure mobile payment services. Promote the development of NFC-based smart wallet technology. Build a testbed that can be used by Korean SMEs to test their products before putting them on the market.